For many years, national and supranational authorities, research institutes and NGOs have attempted to protect a valuable marine habitat in the Central Adriatic named Jabuka/Pomo Pit. Strong opposition from fishing associations and continuous fishing regardless of spatial management measures were major causes of conflict. Bottlenose dolphins like interface zones between two marine environments, which are zones with greater diversity and abundance of fish. This puts them into direct competition with fishers, especially in Corsica where the coastal strip is particularly narrow. The Koster-Väderö fjord is home to Sweden’s highest diversity of marine life: between 5,000-6,000 species are thought to be found there, including 200 animal species and nine algae species unique to the area. The Adlergrund area in the German Baltic Sea is a designated Natura 2000 area (SAC, SPA). The main nature conservation values are wintering sea ducks; harbour porpoise and seals also occur in the area. Both birds and dolphins are implicated by gill net fishery. From the perspective of commercial fisheries, the main source of conflict tends to be spatial exclusion, such as the imposition of no-take zones or areas with limited access to fishery. From the perspective of area-based marine conservation, the need to conserve fish stocks in line with MSFD objectives and fishing practices outside MPAs can be a conflicting element. Spatial exclusion. Spatial measures (e.g. no-take zones in Marine Protected Areas) proposed by the authorities can be a strong source of conflict. Fishers often object to such proposals, given that they might imply relocating to less productive fishing grounds, further from the fishing port, or changes of fishing gear, all implying additional costs. In EU Member States with small sea spaces spatial measures may imply the total loss of fishing areas rather than merely relocation. Destructive fishing practices, including bycatch and litter. Most fishing practices, such as some techniques of bottom trawling which harvest the target fishing resources, have impact on non-target species and therefore on the broader ecosystem. Litter produced by fishing practices can also have considerable impacts, especially in the case of lost gear, leading to ghost fishing. Positive effects of sound conservation for the fish stocks and the fisheries sector can be evident in cases where appropriate management tools, technical measures, and fishing capacity control are implemented. There is evidence that fish stock recovery areas or no-take areas can aid the recovery of commercially important species. Benefit to nearby fisheries through spill-over and export of offspring from protected stock has also been recorded. No-take areas can also help set positive management precedents. Given that fishing often takes place across the exclusive economic zones of several states, conflicts can also take place across several states. Although fisheries management is harmonized across the EU according to CFP rules, different countries still take individual approaches, which can make coordination difficult. There may be location-specific rules as to who may fish or how, when or where. Rights of access may be granted based on historical connections to fishing grounds, but other social and environmental considerations including spatial prerequisites usually also come into play. Within the EU, the conservation measures put into place are expected to result in stock rebuilding and increasing profitability of fisheries in the long term. Nevertheless, economic pressure on fishers is still strong, e.g. as a result of rising fuel costs. Restricting fishing areas is likely to increase pressure especially on smaller operations working closer to the coast. In addition, the occurrence and distribution of fish stocks may change in response to climate change, requiring fishers to respond flexibly. International environmental policy sets out ambitious targets. The Aichi targets for the Convention on Biological Diversity stipulate that by 2020, 10% of marine areas, especially those of high biological and ecological significance, should be managed as protected areas. Other political drivers include the UN Sustainable Development Goals, especially Goal 14 “Life under water”, as well as EU-wide and national biodiversity and climate polices. In its Marine Strategy Framework Directive the EU expects Member States to reach “good environmental status” of marine waters by 2020. Descriptor 3 on commercial fish and shellfish states that “populations of all commercially exploited fish and shellfish are within safe biological limits, exhibiting a population age and size distribution that is indicative of a healthy stock.” Other MSFD descriptors also come into play, such as biodiversity (e.g. overfishing, bycatch) and sea floor integrity (affected e.g. by bottom trawling). Increasingly, there is also public opinion on healthy seas, in particular on achieving sustainable fisheries and protecting iconic species such as seabirds and mammals. One option for dealing with this conflict is to explore synergies and use fisher’s knowledge to help conservation efforts and vice versa. Another option is to pursue the development of standardised surveys and programmed data collection to estimate conservation measures that are forecast to reduce environmental impacts and increase fisheries yields. Yet another development may be the increasing diversification of fishers into areas such as recreational fishing and tourism, which also depend on good marine conservation status of charismatic megafauna (e.g. dolphin watching). In conflicts that have a transboundary character, it is important for countries to agree on the harmonization of regulations. In reaching a joint solution, it is also important to come to a shared understanding of terminology and traditional practices. Careful planning of, and carrying out transnational consultations as set out in the EU MSP Directive can play an important role. In order to ensure a more harmonised approach, it is important to consider transnational consultation early in the MSP process, especially given the fact that Member States have different national fishery management mechanisms in place and use different tools for implementing these. While MSP-based consultation does not directly solve the conflict, it is one of the pre-requirements for the implementation of spatial planning or other techniques, and can to a certain extent prevent conflicts from occurring in the first place. In the Jabuka/Pomo Pit conflict example, five technical discussions on the technical and monitoring measures for fisheries took place in 2007 between Slovenia, Croatia, Italy and the EU Commission. These led to an agreement on fisheries protection in the Jabuka/Pomo Pit. However, this protected area was to be partly in the Croatian ZERP and partly in international waters (on the Italian side of the continental shelf national limit). The two countries (Slovenia and Italy) played an active part in the technical discussions with Croatia on the comparison of the technical rules in the Adriatic and on the protection of vulnerable fishing grounds in the Jabuka/Pomo Pit area in accordance with the Common Fishery Policy acquis. These did not directly solve the conflict but rather made a suitable ground for further discussions and acted as a prerequisite for future agreements. Spatial management approaches in fisheries tend to be linked to static boundaries and coarse temporal scales, although the dynamic of interactions between fish and their environments has long been recognized. Dynamic assessment of the impacts of temporal fishery closures through dynamic data collection and analysis can contribute to more informed planning and more optimal solutions. Instead of only considering the traditional static bans, such tools can enable planners to take a more dynamic approach, where the size and temporal dimension of a closure can be revised for each new version of the maritime spatial plan. as a deterrent to violating fishing restrictions. In the Jabuka Pomo example, scientists specifically tracked vessels during a short-lived trawling moratorium in the Adriatic Sea and found that fishing vessels who complied with a one-year fishing ban maintained their catch levels by moving to other areas. This finding also contributed to the resolution of the conflict in the Jabuka Pomo Pit. The study also holds promise for other highly exploited areas around the world where enforcement is challenging. TV survey with camera towed on the bottom of the sea which record a standardized length of sea bottom which is used to count the number of the holes/shelters made by Nephrops norvegicus (In the Adriatic Sea the survey is conducted every spring). Trawling survey with the research vessel (catching the lobster) (In the Adriatic Sea such survey done every winter). In general, there are two types of surveys 1) camera and trawling, or 2) only trawling. The position of ports, both as an indicator of traditional fishers and as part of fisheries heritage more generally. The proximity of the port to a fishing area can also be an important economic factor given that travelling larger distances to another port incurs more expenditure for fuel and working hours. In the case of Jabuka/Pomo Pit, different types of closures apply to different types of fishery. There is a list of vessels in each of the countries that are allowed to fish based on the history of the vessels and the position of the ports. Fishing vessels that have a history as traditional users of the area are given an advantage. Marine protected areas (MPAs) and their values are usually not well known to the public, or have little aesthetic value. Therefore, as one of the first steps, informing everyone involved about these areas is of vital importance. Scientists can have an important role in communicating the most up to date information, which can serve as a basis for a more informed cross-sectoral discussion and decision-making. The presentation of research results by a third party rather than the MSP authority may lead to a more balanced discussion. In some cases, it has been beneficial for authorities to engage with fishers and fishing associations prior to joint meetings with other stakeholders. These smaller and more informal meetings are a useful way of becoming familiar with the fishers’ concerns, their traditions and ways of defining fishing, and can be a first step towards establishing common ground for conflict resolution. 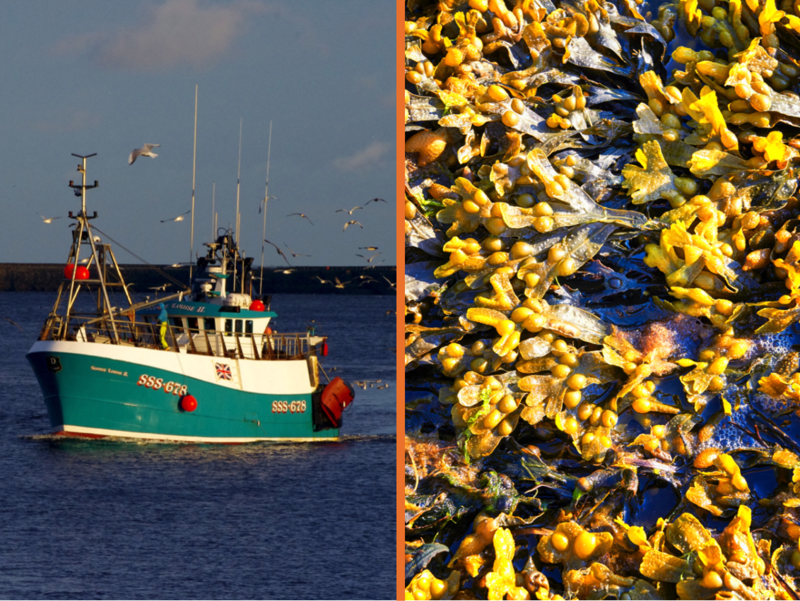 Estimating the bio-economic effects of fishery closure(s) is a useful way of determining the utility of this management measure and its socio-economic impacts. While it is helpful to monitor the effect of a measure once it is in place, it is equally useful to model different scenarios in anticipation of closure. Models are available that estimate the impact of an envisioned measure through time (e.g. in 5 years). They can take into account various parameters, such as the impact of a suggested closure on each fleet, the impact on different ports, the distribution of benthic communities and impacts on benthic habitats. Taking into account any likely economic impacts (and their expected changes over time) is of particular relevance. The DISPLACE tool, developed by DTU Aqua, is one example of such a tool. It is a complex model that uses data for each vessel, integrating all available stock data, fleet data per harbour, the technical characteristics of the vessels, the market price of the fish, fuel consumption, trawl and survey data, and other economic data, etc. The output of the model is a list of bio-economic indicators that can help the decision making process in regards to fishery closure. The results obtained with DISPLACE have been used in several meetings with stakeholders (FAO, AdriaMed, GFCM; projects: ECOAST, DORY, ECOSEA) to show the bio-economic effects of spatial restriction for some type of fisheries, namely bottom trawling and rapido trawling. MSP is not a tool for fisheries management and conservation, and conflicts could result if it were used in such a way. At the same time, the MSP process could be a useful platform for discussing the more technical measures of fisheries management, which could help to reduce conflicts between fishery and area-based marine conservation. For example, the MSP process could be used to have a discussion with fishers on optimum mesh size for selected target species, the choice of hauls or less damaging fishing equipment. Each of these technical measures comes with different costs and benefits. For example, 12h hauls need two round trips per day to the area concerned, which doubles diesel costs, so changing to 12h hauls is only usually only economically feasible if fishing sites closer to the port are chosen. Different fishing techniques are also associated with experience and costs. For example, an investment in accessory equipment for longline fishing can be largely covered by one season of fishing. However, the real difference of cost of fishing practices lays in extra hours of work that added to the working day. Although it is not up to MSP planners to determine mesh sizes, the MSP process can be a useful point of entry into discussions on various management measures and what would work in each specific context. There is unlikely to be a one size fits all solution given the many different types of fishery and broader ecological and socio-economic contexts. Whatever the local context, it is important that technical and spatial measures work in synergy.